Thousands of years ago, philosophers and scientists in ancient India devised a system called Ayurveda, or “the science of life,” which explains the nature of everything in the universe. Now, in What’s Your Dosha, Baby?, author Lisa Marie Coffey applies this ancient wisdom to modern-day relationships, offering readers an exciting new way to measure their compatibility with lovers, friends, co-workers, and family, and arming them with the insight they need to make all their relationships work. Something within each of us yearns to find meaning in our lives, and to discover the reason we are here in this time and place. The search for purpose is age-old, and it compels us to move forward, to learn and to grow. Lissa Coffey, well known for her inspiring blend of ancient wisdom and modern style, brings us Vedanta’s Four Yogas, and explores how each one can help us to define our unique purpose. What’s Your Dharma? 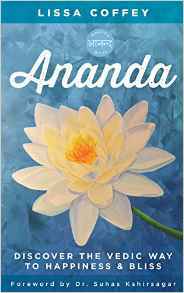 guides us on a journey of self-discovery, and shows us how to create a lifestyle where we can express ourselves creatively and feel fulfilled. The Heart is Home. We’re together forever to learn and share an energetic attitude of gratitude! Each word in this phrase serves as a signpost that signals our way towards spiritual growth. 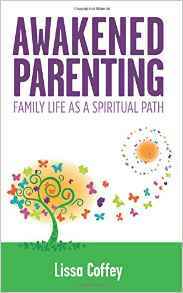 This is the road map that Lissa Coffey has laid out for families in Awakened Parenting. As “householders” we can use family life as a spiritual path, learning important lessons all along the way as we strengthen our connection with one another. This is our purpose, this is where we find our joy, this is how we help our children understand what matters most in life. Through the myriad forms of relationships we experience over the course of a lifetime, we have the opportunity to learn about ourselves-to see how each relationship, no matter how challenging or difficult or joyful, causes us to change, to grow, and even to discover unknown inner strengths. In Closure and the Law of Relationship: Endings as New Beginnings, lifestyle and relationship expert Lissa Coffey show us how the Law of Relationship works to our benefit to help us improve our lives. Feeling overstressed, overtired, overweight, or overwhelmed? It’s time to lighten up! Lissa Coffey’s new book, The Perfect Balance Diet, sets us on a path to live our healthiest and happiest. It’s about losing what weighs us down, and gaining balance, a new perspective on life that is holistic and happy. This is a lifestyle filled with meaning. It’s joyful, practical and easy. It’s not about abundance, it’s about bliss… We have abundance in our lives, including an abundance of stress! The whole world is filled with uncertainty. How can we be happy when so much around us is rapidly changing? We live in a world of material luxuries, and yet we feel unfulfilled. We are longing for more, but we don’t know what that “more” is. Turns out, author Lissa Coffey explains, the happiness that has eluded us for so long was there all the time, we’ve just been looking in the wrong place. Through poetry we can express our deepest thoughts and feelings. Through prayer we can experience our connection with the Divine Spirit. In every spiritual orientation there is a tradition of acknowledging Spirit in gratitude. This practice, this pause of reverence, gives life meaning. Bhakti is a Sanskrit word that means devotion, and love. The path of Bhakti Yoga leads us to a knowledge of our Oneness with the Divine through heartfelt devotion. 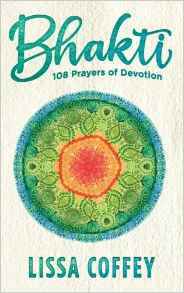 In Bhakti: 108 Prayers of Devotion author Lissa Coffey elegantly merges poetry and prayer into verses that lift the spirit, and heal the heart. Prayer is powerful. It can change your life; it can change the world. Bhakti guides your journey in remembering, and loving, who you are. Quotes are echoes from the past, succinct summaries of lessons to remember, and contemplate. They provide us with glimpses of times gone by, and they carry forward knowledge that can influence our days yet to come. 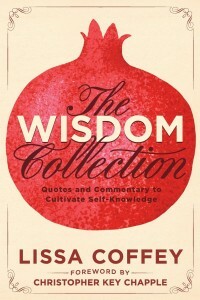 Each quote in this vast collection is a bite-sized chunk of wisdom, something we can learn from, and use in our own lives. Lissa Coffey has complied a unique variety of sayings from a myriad of minds throughout history and cultures. Her commentary further provokes thought and deepens our understanding about these timeless topics. Words carry weight, and quotes are a quiet legacy of those people who have traveled this road before us. Use this book as a reference to guide you through the experiences of life. Take these gifts, offered with love; savor the importance of the words, and let them nourish your soul. Freddy Bear is a very active little bear who doesn’t want to miss a minute of fun. There’s so much that he wants to do that he avoids going to sleep at night. 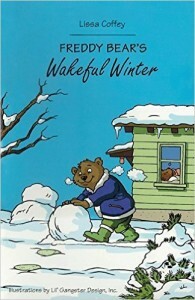 One winter he manages to skip hibernation. But then he learns how important it is to get that sleep! Written by lifestyle expert and bestselling author Lissa Coffey, founder of CoffeyTalk.com. Fun, colorful illustrations by Lil’ Gangster Design. In the time-honored tradition of the fable, Lissa Coffey has created a whimsical, meaningful book that will delight readers of all ages. 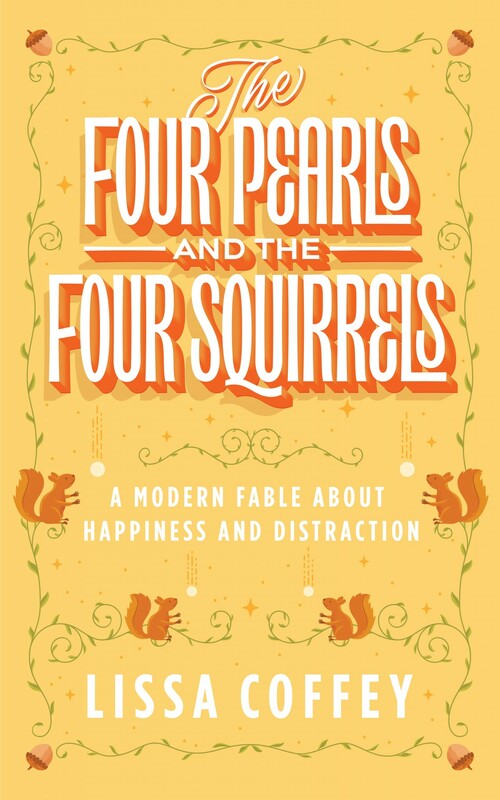 The Four Pearls and The Four Squirrels is a modern-day classic filled with wisdom. It inspires and enlightens in the same way that Jonathan Livingston Seagull has for generations. Learn more about the book here! Do you have excess weight? Feel lack of energy? It’s likely that your metabolism is out of balance. Metabolism is affected by the foods we eat, activity levels, age, genetics, gender, and stress levels. Getting your metabolism to a place where it is highly efficient helps you to attain a perfect weight for yourself and become the healthiest version of you. 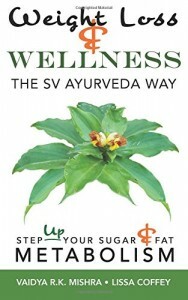 Learn how to accomplish all that with SV Ayurveda easy steps through this book. There has been a renaissance with all things Vedic these days. Yoga, meditation, and Ayurveda have become an important part of our own western culture. 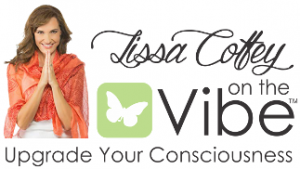 Lissa Coffey saw this coming back in 2004 when her bestselling book “What’s Your Dosha, Baby” came out. “American Veda” by Phil Goldberg came out in 2010 and stoked the trend further. It’s taken a while to get here, but we are definitely here now. It is a natural progression when we get into all this to search for more, and all roads lead to the spiritual aspect of it, the roots. 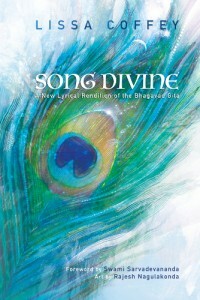 Song Divine is based on the wisdom of the Bhagavad Gita, the second most translated and second best-selling book after the Bible. 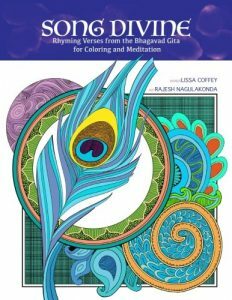 In this coloring book readers can bring beautiful images inspired by each chapter to life. This is a meditative process, creative and healing. Take the lessons to heart and feel the devotion. Words by Lissa Coffey, art by Rajesh Nagulakonda. 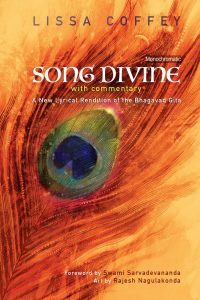 now with this version of Song Divine, she has included additional commentary to further explain the beautiful wisdom offered up in these poetic verses. The profound knowledge comes through with conviction and clarity, and a sense of deep devotion. Let Song Divine inspire you. Sincerity is honesty, truth, meaningfulness. And when we share who we really are, we are absolutely original and true to ourselves. What a wonderful thing it is to be an original!